A surprise band of pirates can't hijack a thorny hour of romantic complications. Warning: This contains spoilers for Episode 8 of Outlander Season 3. Not caught up? Read our reviews here. “Will you risk the man I am for the sake of the man you knew?” That’s the question asked by Outlander in an impressively thorny episode that makes it clear that the course of love never runs smooth. Especially when it involves time-travelling across several centuries. After Jamie’s printing shop got burned down last episode, our time-crossed couple had little choice but to embark upon a homecoming proper, with Jamie and Claire both heading to Lallybroch. It’s a welcome step for this third season, which proved with its action-packed Episode 7 that it can sometimes take a lot of work just to keep a sense of peril and threat alive. This hour offers a more muted obstacle course, but one that’s no less dramatic. As Jamie and Claire get to spend more time with each other and assess their life together, he drops an unexpected bombshell: that he married another woman while Claire was in America. 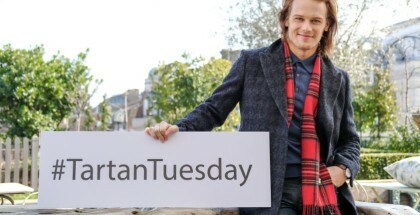 It’s a cracking revelation, one that’s delivered with maximum possible surprise and shock, both for us and Claire – just enough to jostle us out of any sense of familiarity or trust that we had for Sam Heughan’s likeable lad. Before he can break the news, in barges the woman herself, and stone the crows, if it isn’t Laoghaire herself. Yes, none other than the woman from Season 1 and 2 who tried to bump off Claire and get Jamie for herself is now the person he’s chosen to shack up with – a decision that’s so extremely out of step with what we’d expect from him that our confidence in him is immediately shaken. Laoghaire, naturally, is fuming, as she storms into the bedroom of her husband and finds the woman from yonks ago back on the scene – the presences of their kids (not technically Jamie’s, but that makes it no less devastating) only adds to the emotional turmoil. Claire is no less angry, and understandably so: after a sweet reunion with her long-lost love, and after sharing candid truths from her own time away from him, she’s now realised that he was comfortable to conceal the truth from her for quite some time. Caitriona Balfe does superb work this episode, managing to switch from happy and content to disappointed and hurt in a single breath. 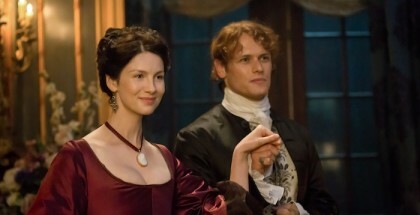 But she’s matched every step of the way by Jenny, who is the episode’s MVP, as she greets Claire with a frostiness that turns her into so much more than a supporting character: when Claire left for Boston, she didn’t just leave Jamie, but everyone else in her life, and Jenny’s reaction does a wonderful job of reminding us how complicated relationships can be, when it comes to the web of personal connections that are inherently woven into each one. Throw in the fact that her son, wee Ian, was in jeopardy – with Jamie not telling them that Ian had run off to be with him – and you have some justifiable family fury that gives this hour that bit more weight than the previous installment. 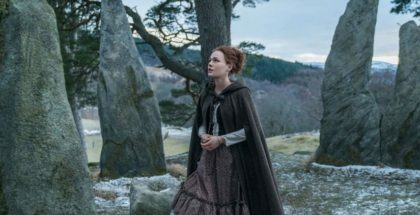 It’s a shame, then, that the episode feels the need to dive into as much melodrama as possible, with Jamie and Claire’s explosive row turning into an explosive sesh on the living room floor – thankfully interrupted by Jenny, before things can get too Mills & Boon. Then, for good measure, Laoghaire (presumably attempting to shoot Claire) winds up accidentally firing a pistol at Jamie, because you can never have too much drama. 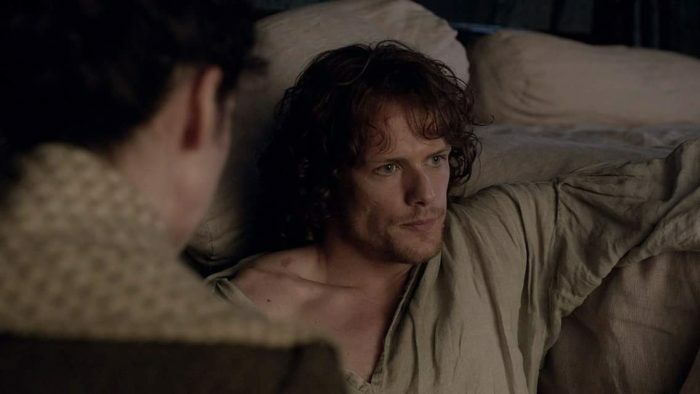 That does, whoever, leave to a tender moment between our lead pair, as Claire sews Jamie up in a way that recalls their very first meeting – laying out all the consequences of their connection on the table for each to reconsider and potentially even reject. 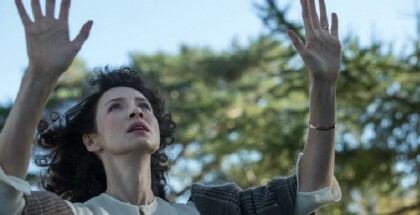 Claire, for the first time, suggests that they might not be suited for each other after all, only for Jamie to ask that most mature and moving of questions: “Will you risk the man that I am, for the sake of the man you knew?” It’s the kind of scene that strikes right to the heart of what Outlander’s about: the risk of being in a long-term relationship, no matter what the price may be. 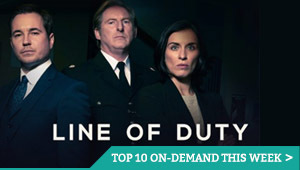 Speaking of which, Jamie’s separation from Laoghaire isn’t going to come cheap, so Jamie decides to go back to the island near his prison to retrieve the treasure that he said wasn’t there but actually was there all along (in an episode of contrived flourishes, this one really does take the biscuit). Ian volunteers to go in the place of the injured Jamie, only for a boat to appear on the horizon and kidnap him, before sailing away. Secret wives, romantic disenchantment and pirates? Never let it be said that Outlander does things by halves. Season 3 of Outlander is available on Amazon Prime Video, as part of £5.99 monthly subscription. Where can I watch Outlander Season 3 on pay-per-view VOD?